Thanks for posting on our forum. I’m happy to see that StairDesigner is helpful to you. Keep us updated on your project. The Stairdesigner softare is fabulous. I had a trawl through the web and this is the best app available. It does far more than I actually needed at the moment. 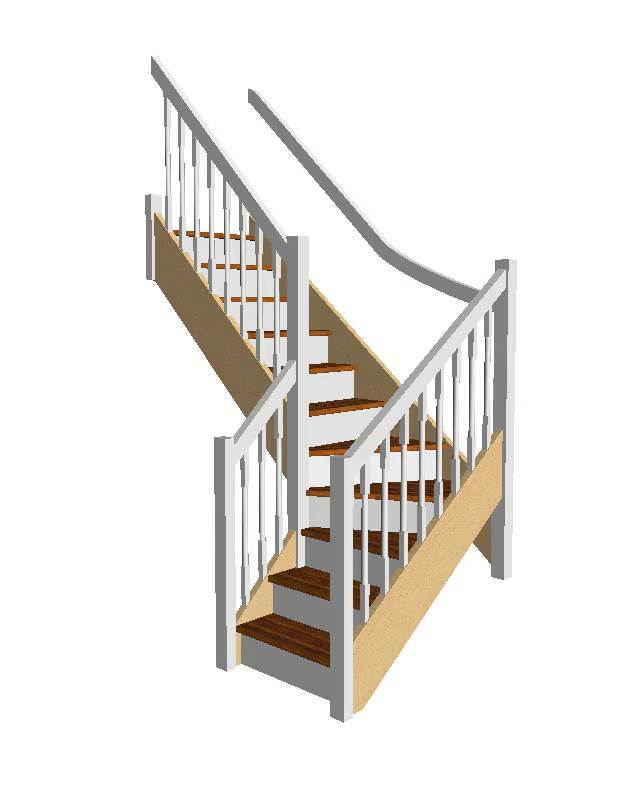 We have a problem staircase only due to the fact that there are 3 slightly steep steps coming down from a bedroom and bathroom on both sides of a landing, with the main 9 step staircase starting from here, down to the ground floor. My guess was that we could eliminate 2 of these steep steps at the top, by adding another 2 risers to the top of the main stairs by using a quarter turn at the bottom. I input the measurements into Stairdesigner and verified that indeed this was perfectly feasible. Have to decide on whether it is worth replacing the old staircase now, but at least we know that it will eliminate the slightly dangerous 2 steps at the top landing.